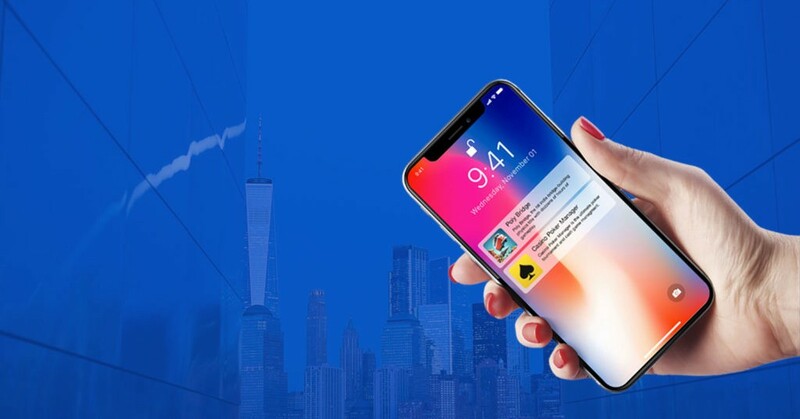 Push-notification advertising is a big thing now. 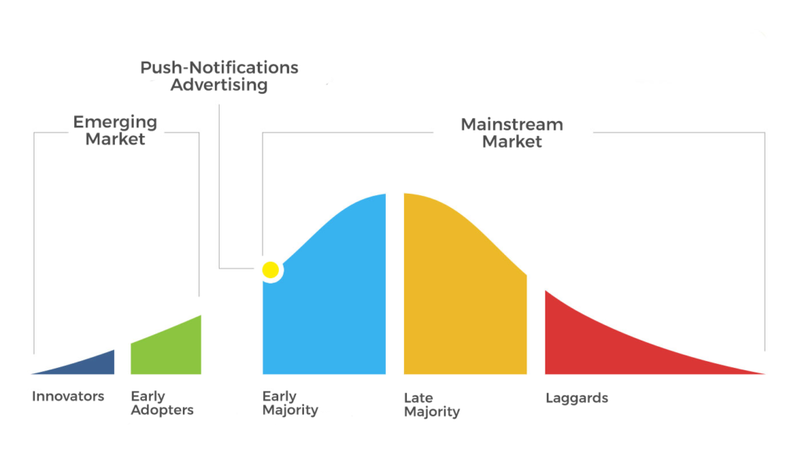 Almost everyone is now trying to make push-notification network. It’s a new digital ad format that can compete with Facebook or AdWords in terms of efficiency and engagement. Push campaigns may deliver 140% and even 200% ROI with basic targeting. You have probably already heard about that by now. Check our article on the case if not. So is that difficult to make your own push-notification network and how can you do it? It’s been a long time since we allowed push advertising on our RichPush platform. We tested how it works, guided our advertisers to really outstanding results of more than 140% ROI and we’re happy to announce that we opened push-notifications on white label. You can now launch your own push-notification network in a couple of clicks. Why are pushes different and why should you consider starting those as an advertising business? If you are already selling native or display or whatever ads, you will grow your business 3 times. Why? From our data, push advertisers stay up to 2x longer and spend 3x more than those on other channels. Sounds good. But there is more! Format popularity is growing and so does the demand. Supply doesn’t grow that much so it’ll be easier for you to get advertisers and to promote your new platform. Advertisers often ask us if push-advertising is legal. They are afraid pushes are intrusive and appear without users consent. But that’s not how it is. Every push-notification receiver agreed to get push-notifications on one of the websites. So it is even better than regular banner or native advertising, which user have not agreed to see. Considering intrusiveness our network has a limit of sending only one push-notification per day to each user. One notification is not such a big deal, right? We’re getting tons of those from apps and messengers. 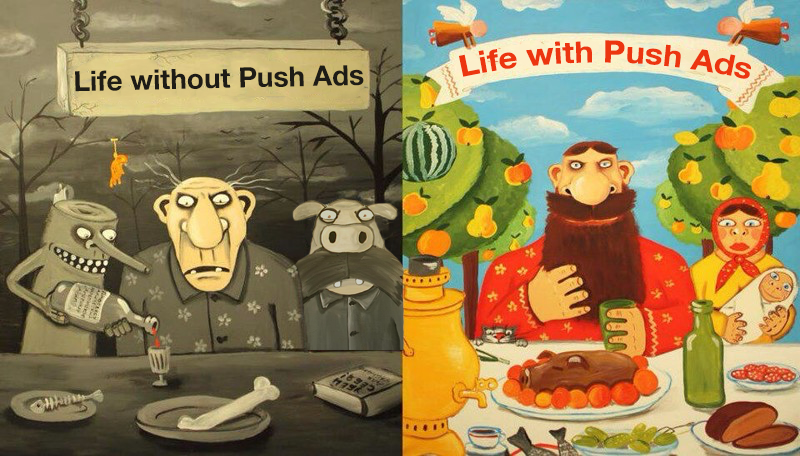 Push advertising market is now on its early stage, pushes will be gaining popularity, demand and supply for some time. It’s no need to wait till the market gets crowded like display, native or video market are. It’s your chance to hop on board and start making money on pushes before the majority.